What's Your HIT Hiring Strategy? Cost-conscious organizations are trying to figure out whether it's best to hire additional staff or lean on consultants. When hospitals search for IT professionals, they often engage in rigorous decision-making processes as they consider hiring more staff or outsourcing to implement new EHR software and other critical projects. In a rapidly evolving IT landscape, both approaches have their merits and drawbacks. Over the past few years, health care organizations have made greater investments in technology, with many hiring more in-house expertise. Experts weigh in on whether this trend will continue or there will be greater consideration given to attractive outsourcing options. Because it takes a series of investments to keep in-house staff abreast of the latest technology, outsourcing can be more cost-effective. "With increasing sophistication of health IT systems and how they are used within hospital settings, there is a need for trained people who are administering and managing these systems," says Prashila Dullabh, MD, a senior fellow and the area director of the health informatics program at NORC at the University of Chicago. "The focus is now on how we can use the data within the EHR to inform what's working and what's not, and for clinical quality improvement. Trained resources with specific analytical knowledge and skills can greatly help in that regard." Dullabh believes that while a case can be made for both hiring additional permanent staff and outsourcing, the latter option is gaining appeal. "Recently, we're seeing a shift in the appetite for outsourcing. Along those lines, there is also a shift in how outsourcing was done before and how it is being done now," she says. "Given some of the changes we're seeing, hospitals may decide that the clinical applications they acquire may need to be managed in-house while other things—for example, data center, disaster recovery—may be outsourced. In other cases, hospital administrators determine they lack the skill sets or are making major upgrades and need to outsource. Now, given the sophistication and use of the systems, there is far more of a nuanced way that CIOs have someone else manage their infrastructures and also how those structures can be managed internally." Whether an organization chooses to outsource or hire more staff often depends on the urgency and complexity of the work. For example, if the project needs to be completed immediately but an organization does not have time to develop the necessary skills to meet its deadlines with in-house staff, then it will likely hire outside help. "We will also look outwards if we cannot find an employee with the required skill set in the short term, but will work with consultants only until we can get an employee up to speed," says Linda Reed, RN, MBA, FCHIME, CHCIO, vice president and CIO at St. Joseph's Healthcare System. "At times, we outsource to get a particular skill set that is only needed for a single use or short time. We also outsource if we need to ramp up a larger workforce to support a project for a limited time, which, once completed, will not require additional manpower." Zack Wilson, president of CSI Healthcare IT, notes that whether the work at hand is project based or ongoing plays a role in staffing decisions, as does an organization's ability to move personnel around. "It also has to do with budgets, especially when talking large-scale implementations," he says. "When an organization hires a person, that full salary has to be realized in the first year. When you sign up a consultant, the hospital can typically capitalize that cost over several years on an accounting basis. If I decide to revamp our website, for example, I can spread that $200,000 across five years. In that same way, hospitals are able to do more financially with outsourcing than they can when they add FTEs. So, in the short term, consultants can save an institution money; however, it can have an adverse effect if the project is intended to be long-term." While hospitals are typically engaged in many IT projects, those surrounding an EHR implementation tend to be the most prominent. 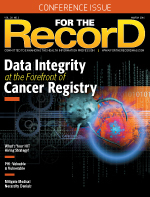 "It can typically take anywhere from 18 to 24 months to get an EHR system up and running," Wilson says. "Many hospitals' initial approach is, 'We'll find someone on the team who is already in IT and wants a new challenge, or an RN with an interest in IT.' That's a viable and necessary solution. Most of the time when we provide consultants, it's to ensure that we bring expertise quickly to complete the project, all while leaving behind the knowledge for the permanent employees who will continue to administer the system. However, the project is often directed by the vendor, depending on what software package the hospital chooses to use." For this reason, it may be prudent to opt for outside help. "If they run a search to hire staff, that can mean a $60,000 to $100,000 salary, depending on the skill set. However, if an organization hires a consultant on a project basis, that individual can come in, do his job, and then the hospital can complete the contract," Wilson says. "Conversely, if a hospital hires someone to do the project, after it's done they have to think about whether they can utilize that person postimplementation or move him to a new area." Additionally, with outsourcing, hospitals do not have to fund a human resources department, an important economic consideration for small and medium-sized facilities. Consultants charge only for hours worked, freeing organizations from the infrastructure and other costs associated with full-time employment. And there are times when outsourcing allows organizations to add to their workload without adding staff. If a hospital is embarking on a large project and all permanent IT staff are engaged in day-to-day operations, then hiring consultants enables the new project to move forward. "Another point to consider is if we hire more staff instead of bringing on consultants, then the project may take longer," Wilson says. "Beyond considering where that employee can go after the project is done, more important is that those employees need to be trained on all aspects of the new project before it can begin. Even if that individual is already on staff, he or she may need training on that particular project." Understanding an organization's culture is another important factor to weigh. "If you take someone who already is on the team, there can be a lot of success because they already know the culture. So, some organizations are creating a hybrid model, turning to a consultant who can work side by side with those already on staff," Wilson says. "Consultants ensure the knowledge transfer happens, and permanent staff integrate them into the hospital's culture. That scenario can be beneficial." Russell Branzell, president and CEO of the College of Healthcare Information Management Executives, believes hospitals must follow core fundamentals to make wise staffing decisions. "First, access to the skill set—in smaller markets, where access to those skills is not easily acquirable, outsourcing is the way to go," he says. "For projects that are large or quick, that's the smart option. When augmenting your FTEs, the thing that drives outsourcing is not being able to get that FTE skill set into an organization at a reasonable price." Branzell, a former CIO, says both hiring and outsourcing can make a case for being the more financially prudent, noting there are several variables at play. While at times outsourcing offers cost savings, there are situations when unforeseen expenses, such as "scope creep," can drive up the price tag. For small hospitals, outsourcing often makes the most sense, says Branzell, noting that services that can be handled remotely, such as a 24/7 help desk, fit the bill. "Perhaps only a call or two will come in to the help desk during the night shift at a rural hospital," he explains. "In a case like that, where there are significant periods of downtime, outsourcing may be a real benefit as opposed to having the help desk staffed in-house around the clock." According to Dullabh, hiring decisions are predicated on the investment made in trained staff. For organizations that have spent significant time and money to adequately train staff and administrators, then it's best to hire. "However, if you are going to require a significant investment to get staff up to speed, then it's good to consider outsourcing," she says. "When hospitals or CIOs talk about outsourcing models, it is usually within the context of whether or not they choose to do it. There also has to be consideration of the investment," Dullabh says. "Return on investment must be fully understood and, therefore, all costs must play into the strategy. For example, you might consider outsourcing some of your clinical systems but may still decide that the system administrator is a hospital employee." The costs associated with the paperwork involved in outsourcing agreements are another important consideration that must play into the creation of an organization's hiring plan. On the other hand, finding the most desirable candidate for a newly created position can be time consuming. "Implementation suffers if the enterprise spends too much time trying to find the right permanent hire when a consultant can just come in and get the job done," Wilson says. "Hiring staff takes a lot of money, and then the hospital has to decide what to do with that FTE once the project is finished. A lot of times, if you bring someone in permanently, there is always that risk in investing in a person who must be trained. Time and money spent training that person are gone when he walks out the door, should he leave for another position. So it's important to know if people will be retained with that knowledge once a project is complete." The flexibility afforded by enlisting outsourced help can be a money saver in the long run. For example, should a consultant not make the grade or be a poor organizational fit, the hospital can change personnel, often having a replacement on board by the following day. "Different hospitals approach installs in different ways," Wilson says. "Some want to take time; some want to do it as quickly as possible. For those organizations that choose to go with the outsourcing model, there are a lot of benefits. Especially for smaller to medium-sized organizations, there is flexibility to replace that skill set rather quickly if they were to lose key personnel." Experts warn of potential—and significant—pitfalls with outsourcing. For example, consultants can lack motivation when they do not align themselves with the hospital's vision and mission. "I've always told people that during their tenure as consultants, I am going to refer to them as part of our staff and they will, too," Branzell says. "That can be helpful if consultants are viewed as part of the organization's team, and those individuals often more readily embrace the hospital's overall goals." While there can be financial benefits derived from outsourcing, it is not a panacea for ailing organizations. In fact, choosing that route can actually result in greater costs. Branzell says organizations must thoroughly research their situation before dipping into the arena. "I would recommend a cost-based analysis, perhaps a SWOT [strengths, weaknesses, opportunities, threats] analysis. Also, a full pro forma would be helpful. It does depend on the model. With a small doctor's office, for instance, there are benefits to having a consultant come in for a transition to an EHR, for example, so there needs to be a solid and thorough exploration of costs vs benefits," he says. Branzell believes no matter what route an organization ultimately determines to be best, it must have an overarching mission in mind. "In the end, we would hope that the staff, be they in-house or outsourced, would share our vision and provide improvement to the organization, especially for the benefit of the patients in its care," he says. Deciding whether to hire new staff or lean on consultants for IT help involves many moving pieces. To break down a complicated process, Linda Reed, RN, MBA, FCHIME, CHCIO, vice president of information systems and CIO at Atlantic Health System, offers the following handy list of pluses and minuses for each option. • You'll boast an employee with multiple skill sets. • Hiring can ultimately be less expensive than bringing a consultant onboard. • You can train the employee in the organization's methods and philosophies. • Employees are generally more diligent, particularly when an organization's priorities shift and/or there is a lack of funds for training. • Finding the right skill set amid the applicant pool can be challenging. • There can be a deterioration of highly sought-after skills. • Employee training and ramp-up time come with costs. • It can be easier and faster to acquire a specific skill set. • Consultants come with certifications. • Organizations can limit the time consultants are used. • Consultants are unfamiliar with the organization's processes and unique challenges. • There is always a chance that a consultant may not be as skilled as advertised. • Scope creep and other issues may reveal unexpected or hidden costs.